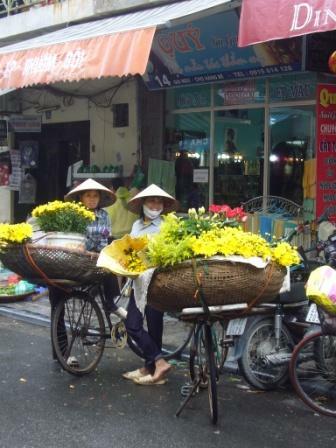 Vietnam is a sovereign country under communist rule located in the Indochina peninsula of Southeast Asia. It is the 13th most populous country in the world. 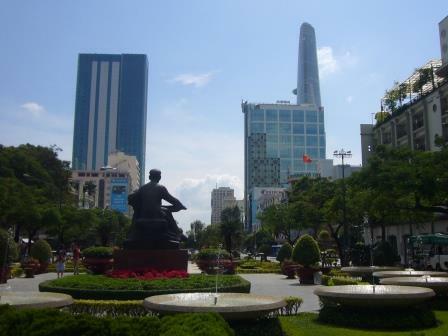 Its capital is Hanoi since the reunification of North Vietnam and South Vietnam in 1976, after the end of the American War, as the locals call it or the Vietnam War as we know it in the West. 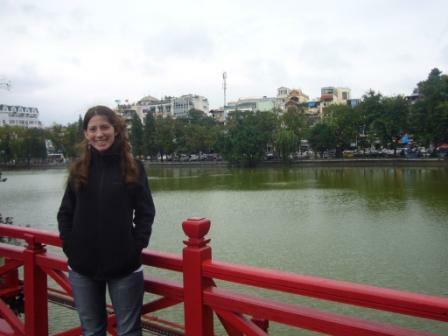 In order to be able to explain a little better the reason for my selection of places during my trip to Vietnam, I’ll briefly tell you a bit about its history of the last century. 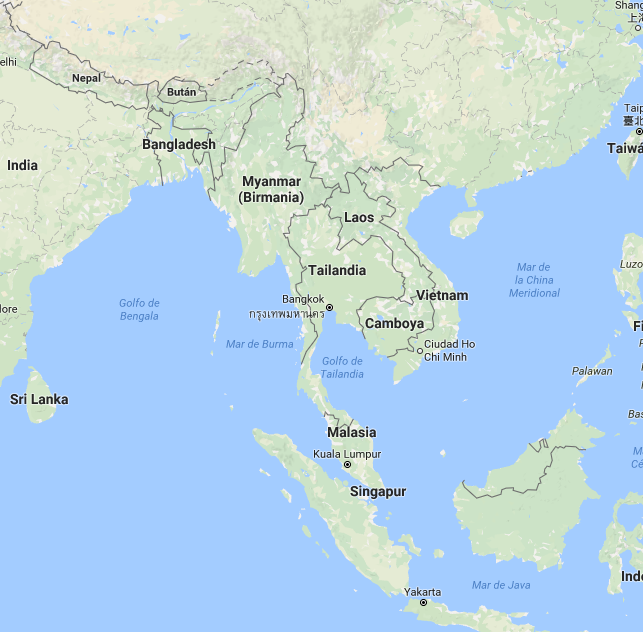 In the nineteenth century the Indochina peninsula was colonized by the French, which can be observed in some customs such as the driving side. After a period of Japanese occupation, during the Second World War, the Vietnamese began the Indochina War against France (in which they fought against Cambodia. 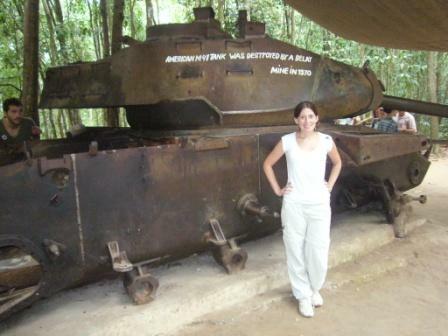 If you visit Siem Riep, Cambodia, you have the possibility to pass through places where that war was unleashed and take tours that include shooting with rifles of that period. This war ended with the defeat and expulsion of French troops in 1954. However, the country was divided politically into two rival states, the North (communism) and the South (dominated by the US), which began a conflict of mounting friction that ended in the well-known Vietnam War (for the Vietnamese War of America), in which they faced the North and the communist guerillas known as the Viet Cong, against the troops of the South and the armed forces of the United States. The war ended in 1975 with the victory of the North and the following year the country was unified under a communist regime. 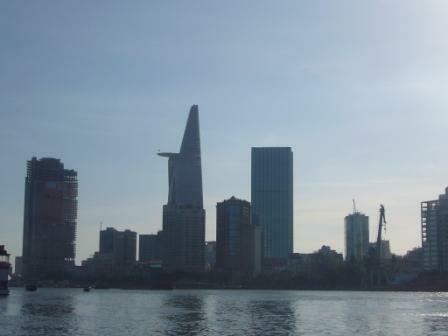 In 1986 the government started a reform, which put Vietnam on the path of integration with the global economy, and by 2000, the country already had diplomatic relations with most nations. 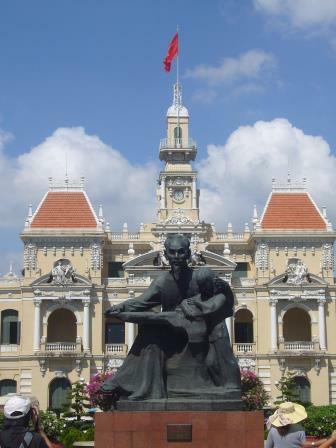 In the 21st century Vietnam’s economic growth has been among the highest in the world (this can be seen in a room in the Ho Chi Minh War Museum which shows the country’s growth and foreign investment. 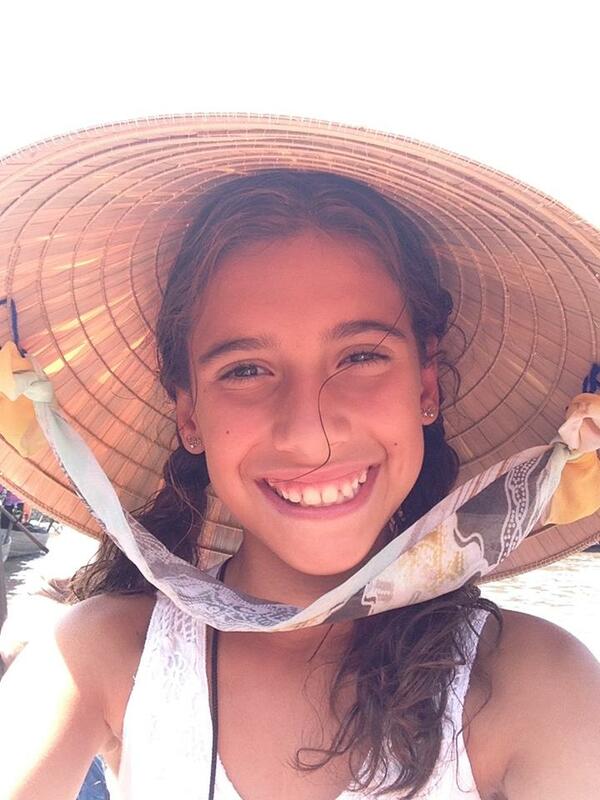 For all of the above, from a very young age I wanted to visit Vietnam and in particular to see the current incidence of its history both in Ho Chi Minh (capital of the former South Vietnam, that before the end of the war was called Saigon) and Hanoi (Capital of the former North Vietnam). 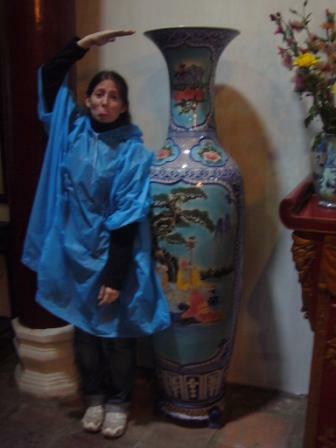 Therefore, when I went to Vietnam, I traveled both north and south, despite the fact that since 1976 it was unified, I wanted to see if differences were felt prior to unification. To my surprise (although not so much), I noticed the south more westernized than the north. Actually, in the South English is spoken more than in the north. When I was there and had the opportunity to meet people and their customs and beliefs, I was amazed by them and their culture. People are warm and gentle. 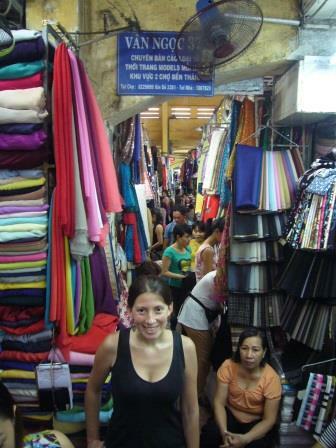 When I arrived in Ho Chi Minh, as I always do in my travels, I went through some markets and a mall that gave me a lot of curiosity about its culture and history. 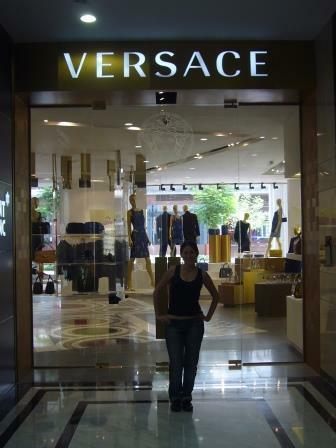 At the mall, I remember having front-line brands, such as Giorgio Armani, Versace, etc. (you can imagine that I did not understand how a communist country had a mall with those brands, considering that that concept of communism did not exist in my mind). The first thing I thought when I saw that was “I want to live in a communist country like this, where I can have an Armani dress for everyone!” Then, talking about what I saw to the local people, they told me that Vietnam is a communist country from the political point of view, not from the economic point of view. 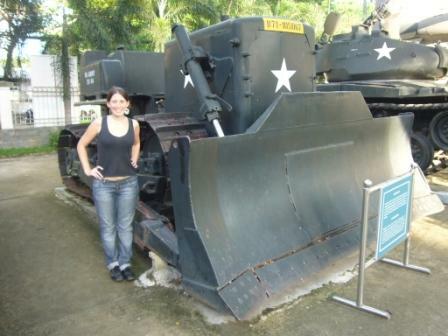 After walking the streets, I decided to go to the Ho Chi Minh War Museum because since I was a little girl I have liked to hear “both sides of the story” in order to draw my own conclusions and to be honest, I must admit that I was surprised with the Vietnamese with regards to the American war. Despite everything that happened during and post-war, I did not perceive any hint of resentment (do not forget that in that war bombs that were not allowed were used). Beyond the visit to the war museum, when I visited the Reunification Palace (formerly known as the Independence Palace) I was able to learn more about its history. This palace was rebuilt where the Norodom Palace used to be. After the Japanese invasion of 2nd World War, it became the office of the Japanese colonial officials. 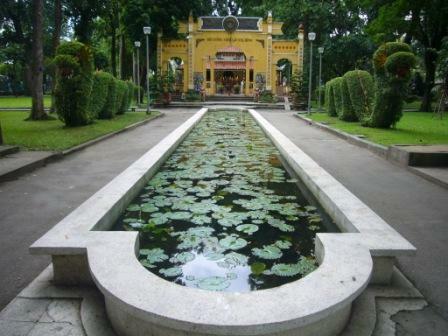 During the Vietnam War, it was partially destroyed, then demolished and rebuilt. In order to complete a little more the story of that war according to the vision of the Vietnamese, I made a trip to the Cu Chi tunnels. The Cu Chi Tunnels is an extensive system of interconnected tunnels located in the homonymous district of Ho Chi Minh City. 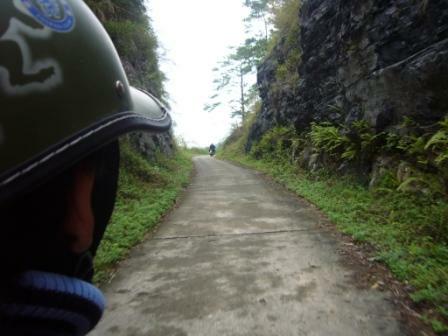 These tunnels were built during the Vietnam War by the Vietnamese Socialists. According to the guide, the Vietnamese of South Vietnam were given orders to fight against their northern Vietnamese, and in case of refusal to proceed on that way, the US considered them communists, so they could suffer the same fate as those of the north. 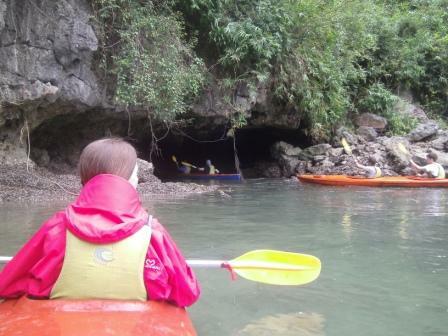 At that time the Vietnamese had to retreat to these tunnels and live in them for years until the war ended. These tunnels played a major role in the resistance the Viet Cong offered to US troops, and ultimately aided military success. A phrase that told me the guide, a man who was born in 1977, was “one should not forget the past to not make the same mistakes, but neither should stick to it. 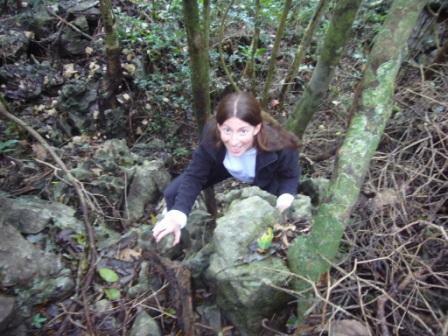 ” The tour to the Củ Chi tunnels is a great way to see what happened on the Vietnam side during the war. 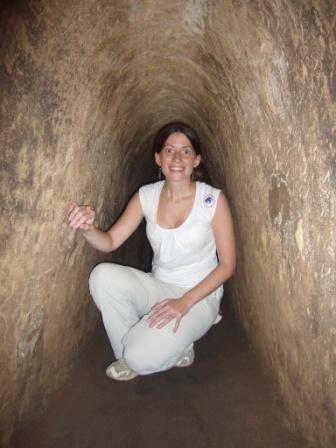 Nowadays, these tunnels are a popular tourist attraction of the city. 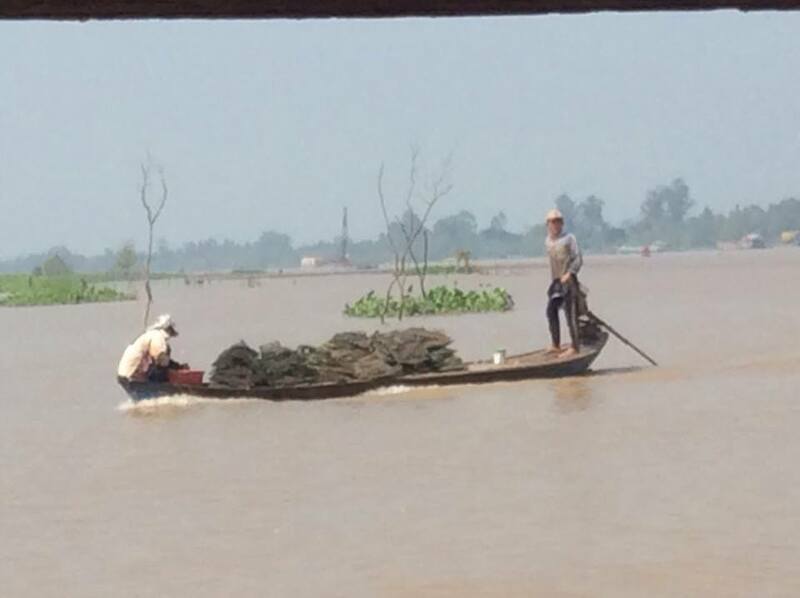 On the way back, I returned by boat on the Saigon River (where I had one of the Cu Chi Tunnels) to Ho Chi Minh, where I could appreciate the beautiful landscape. 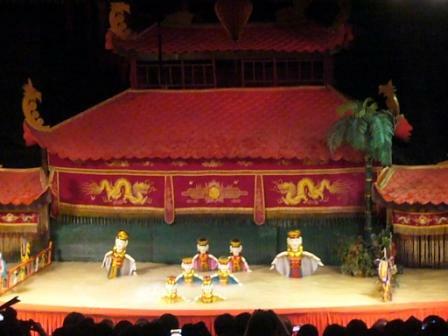 One of most famous and traditional Vietnamese attractions at night, that I strongly recommend the Water Puppets Show. Basically it is a show that represents some story made by puppets on the water. When I went it was very requested so I had to go early to get the tickets, I kept walking and then came back for the show. 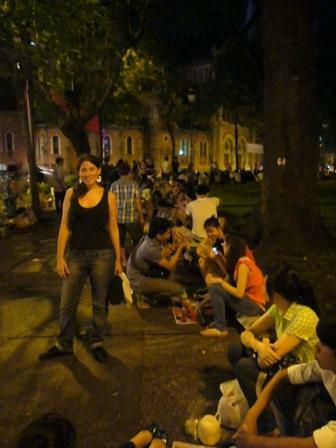 At night I could also see that the young people usually meet in groups in squares and it is a lot of fun. 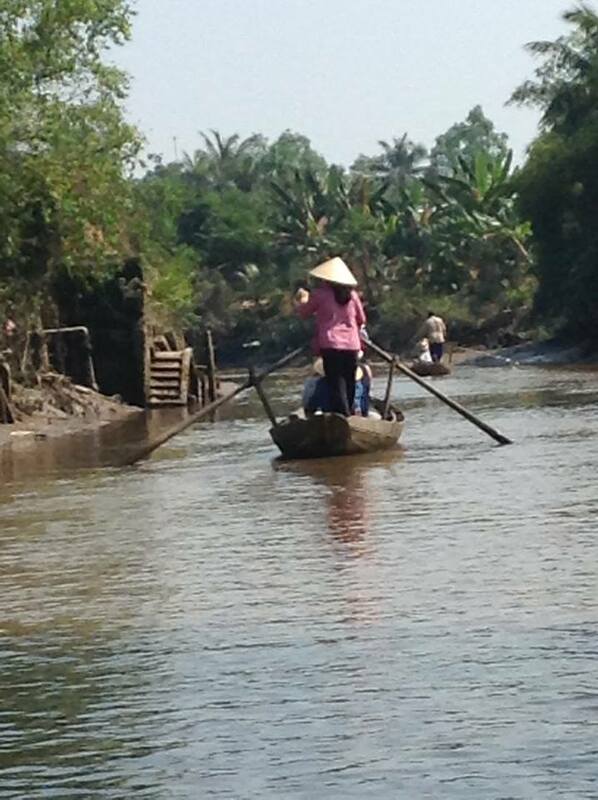 The tour I took started with a boat in the Mekong river. 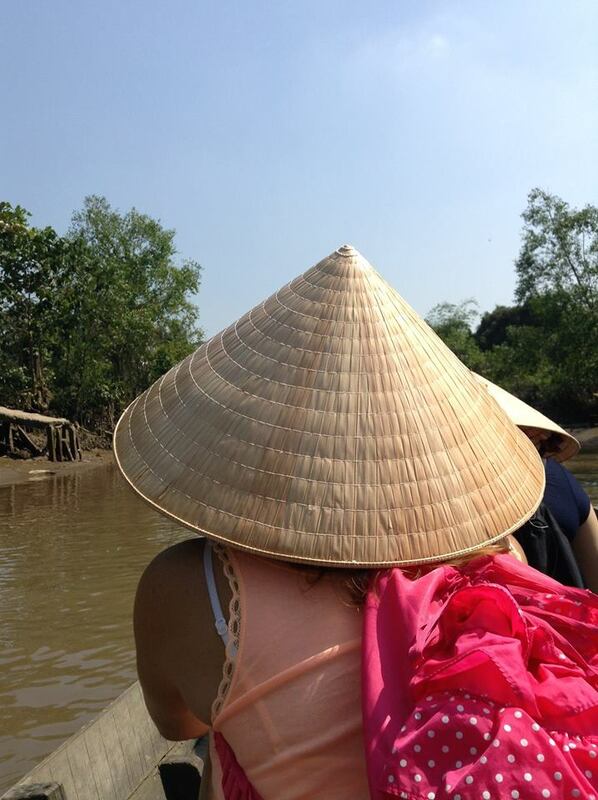 Later we were put in different traditional canoes, with women as their rowers. 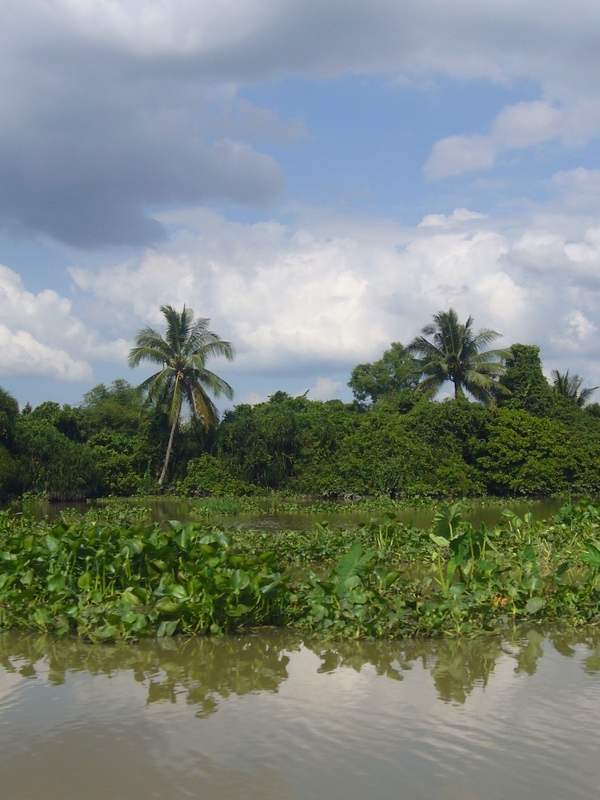 At a very slow pace, we went through different canals and enjoy a beautiful environment. We were taken to a small factory where coconut sweets were made. When I went to the north of the country, I noticed that on average people spoke less English than in the South, but the signs work perfectly to make yourself understood with the locals. 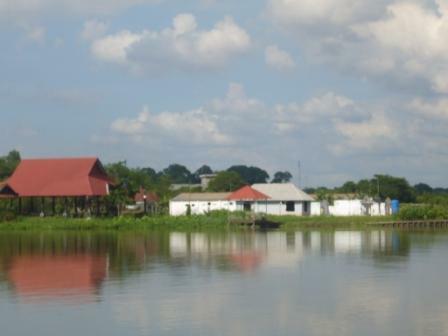 The landscape is much more traditional than in Ho Chi Minh City, where the reminiscence of the US is still perceived. Until years after the war the use of so-called Ho Chi Minh sandals (black sandals) were widely used by the population, I was told, became the only footwear available for years. After this period, there was the possibility of using different types of footwear and it was so important that a street full of shoe stores was created in So Lau (north of P Hang Dau). Another recommendation is not to miss, is to have lunch at the typical places where the locals eat, I remember the food I asked for signs and even to tell us the price the seller showed me how many bills I was charged, I even did the haggling with a calculator Showing them the numbers! Some more places I toured the temple of Ngoc Son, and the streets themselves. 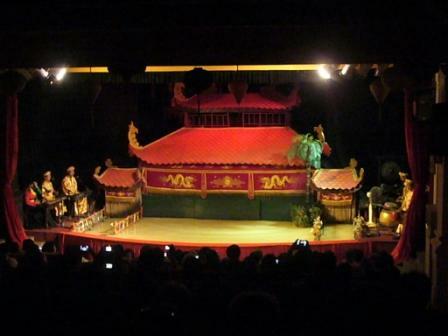 Here you also have the option of going to the water puppet theater if you could not go to Ho Chi Minh. 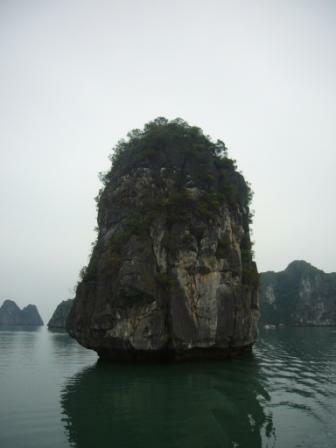 The island of Cat Ba is a rugged and jungle island and the largest of Halong Bay. 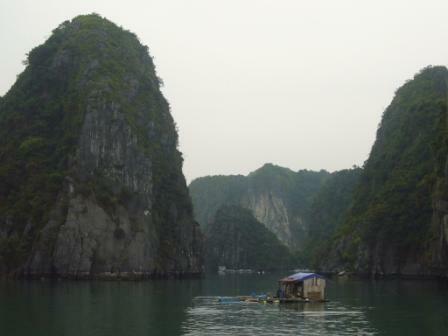 Halong Bay is considered one of the most beautiful bays in the world. 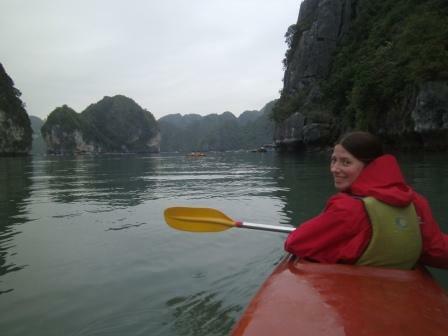 Additionally Cat Ba in recent years is emerging as a Mecca of adventure sports in Vietnam. 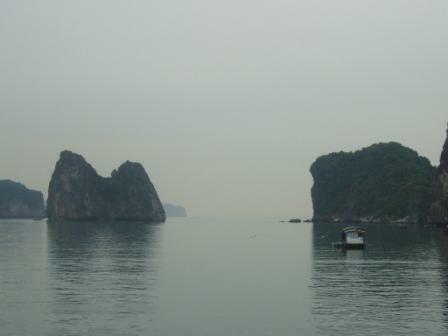 Because of that, when I was in Hanoi I decided to go to the island of Cat Ba. 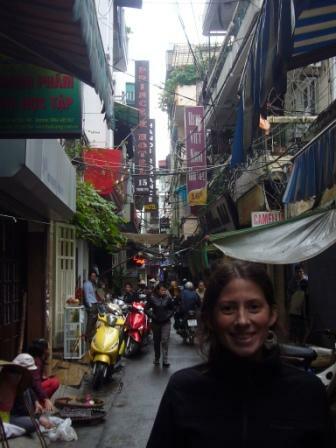 So, I found myself with my backpack at the Loung Yen bus station in Hanoi a Tuesday of November at 5 AM saying “Cat Ba, Cat Ba” and there I took the first bus that would take me to a midpoint between Hanoi and Haiphong pier. I must admit that firstly I didn’t have any faith in arriving at Cat Ba, but when I saw other tourists doing the same I realized that I was right. 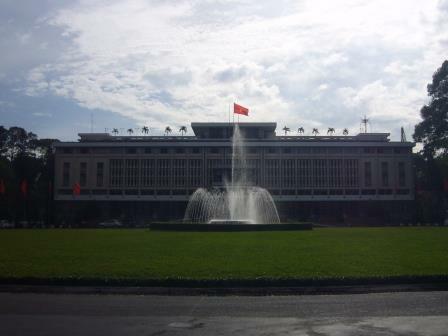 At about 7 AM I reached the intermediate point and after waiting for about an hour, thinking that I was going to have to go back somehow to Hanoi, the transfer appeared. 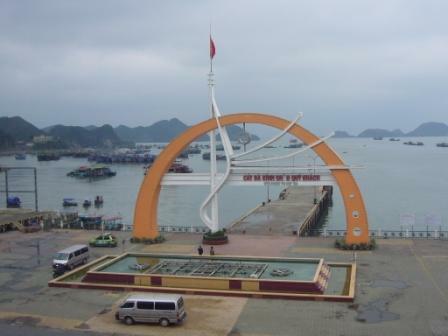 When I arrived at Haiphong pier, immediately I took a ferry to the Island of Cat Ba and then I took a bus to the town center. 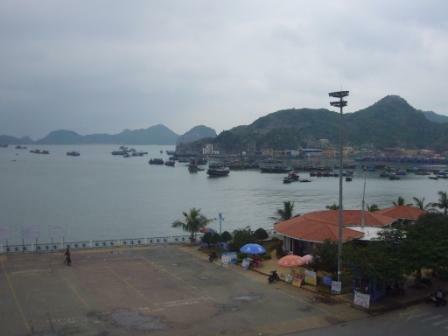 I got a room in a hostel with direct view of the bay, as I show in the following photos. 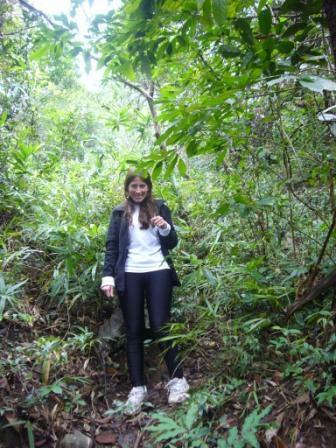 Then, I did a half day trekking through the jungle with a guide and rode a motorcycle. The next day, I kayaked with some guys from Spain, Germany and New Zealand that I had met the day before and had an incredible time. 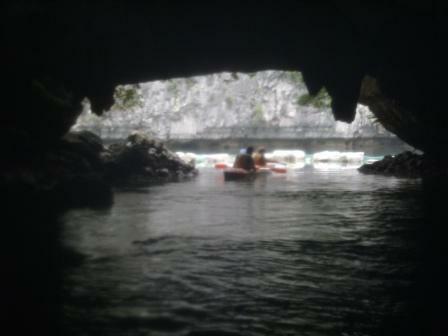 We went through a cave of the typical formations and ended up in a lake hidden between formations, a unique sight. 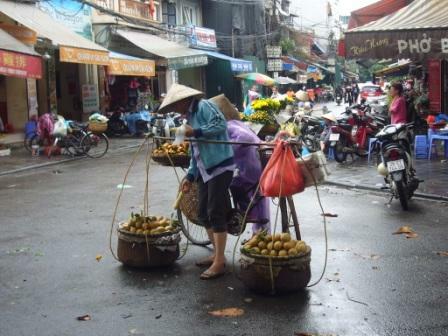 The South of Vietnam has 2 well-marked seasons, rain season (from May to November) and dry season (from December to April). 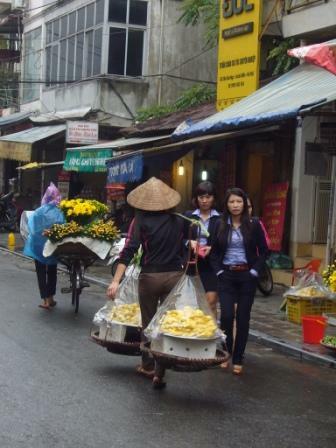 In the north of Vietnam the 4 season are well differentiated from one another. The typhoon period affects both the north and the center and is between the months of July and November. So, I recommend travel between November or December (I traveled in November and I had very good weather everywhere without getting so cold in the north). 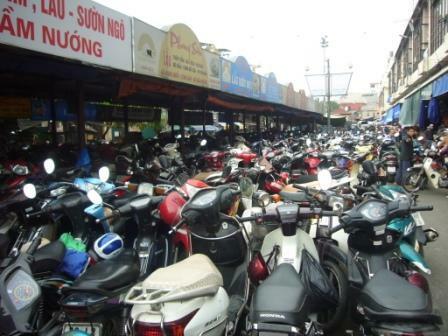 1.- Both in Ho Chi Minh and in Hanoi the number of motorcycles that circulate in the streets is overwhelming and the traffic is quite chaotic. 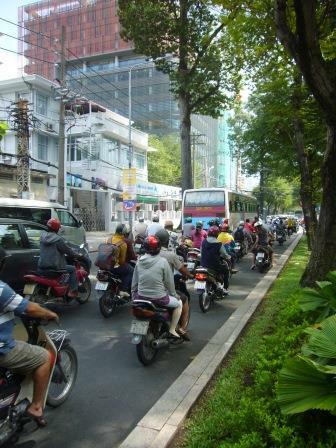 If you wait for the vehicles to stop, you do not cross, what I recommend you do is look at a truck or large vehicle, then, look at a fixed point on the sidewalk and cross at constant velocity, so the motorcycles dodge you, If you hesitate it is higly probable that you generate an accident. 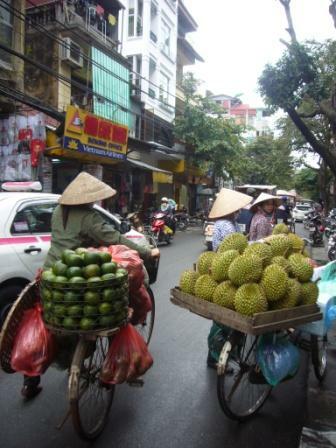 2.- Neither Hanoi nor Ho Chi Minh is dangerous, but be careful with the belongings as there are thefts. It is recommended to take the backpack or camera from the side opposite the street to avoid thefts. 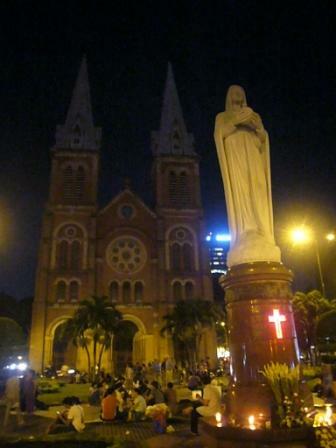 Ho Chi Minh is considered in Vietnam the city in which more care is needed. 3.- In the markets, the haggling is customary. 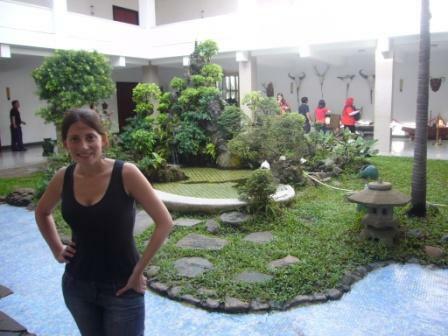 4.- Single women can travel without problem for the places where I was. 5.- Usually it handles everything in cash except the most expensive excursions. 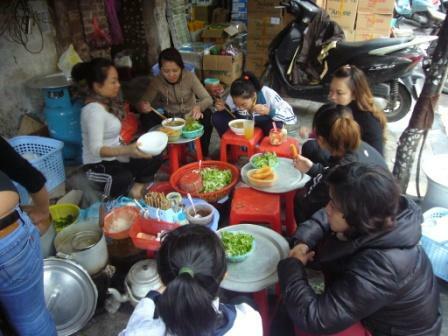 Despite the fact that I did not do a cooking course, I recommend you to do it, because Vietnamese food is well known worldwide for its flavors. 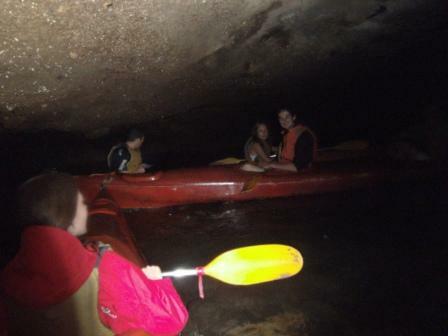 Kayak in Cat Bat Blue Swimmer: Excursión in kayak to Nam Cat or Ba Ham with dinner and camping in the beach or in a bamboo hut http://www.blueswimmersailing.com Excelent experience, company and people are really safe and nice. Cruising the Bay Adventure. http://www.slopony.com/index.php?option=com_sloponyadventures&task=view&id=7 Excelent experience, company and people are really safe and nice. 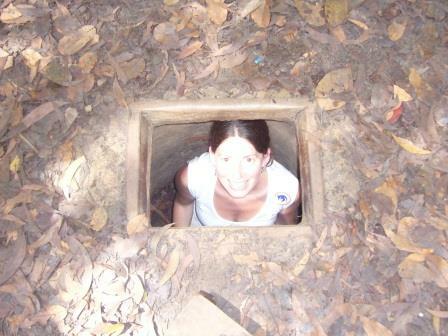 Cu Chi Tunnels tour Delta Adventure Tours Excelent experience, company and people are nice. The only point is they were not in time, you have to be patient. 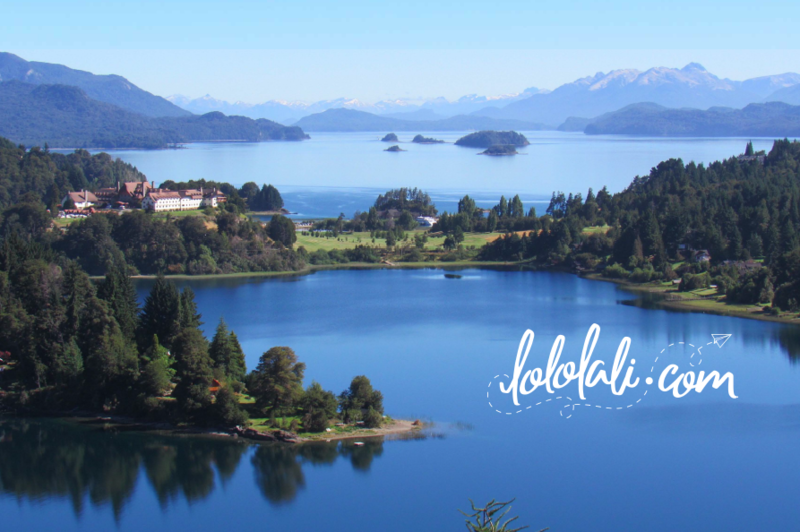 If anyone wants more data do not hesitate to contact us to mail info@lololali.com If you want to write us your comments and experiences in the blog they are really welcome!